We are happy to announce Bike Zone & Summertown Cycles have partnered up with Riese and Muller to be Oxfordshire’s sole Stockiest. R&M offer a range of premium German made high quality E-bikes, E-cargo and the well know Birdy folding bikes. Using componentry like Rohloff hubs and belt drive options, they don’t compromise on quality and deliver top spec finishing for the cyclist that wants something that little bit extra special. What can you expect to see in our shops? We will be getting in a range of R&M bikes for our customers to try and buy. 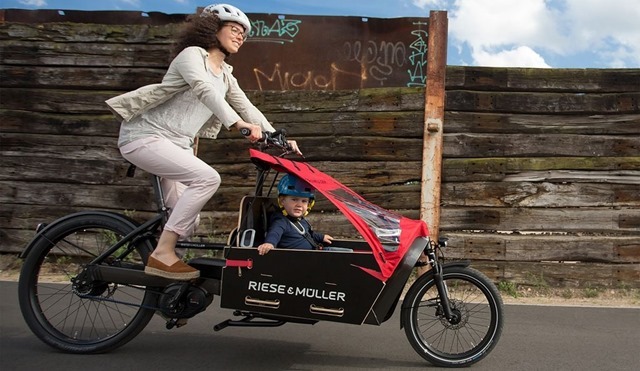 Everything from belt driven slick city commuters, low step comfortable town bikes and super cool electric cargo bikes so you can get the kids to school and beat the traffic. If you fancy a test ride or want to know more then give us a call and we will be happy to help.